It starts like so many other Science Fiction books. The year is 2099 and a spaceship full of Earth’s most prominent citizens crash lands on a new planet. As expected, they try to make a fresh beginning there, but soon discover they are not alone: the planet is inhabited by a people that bears an uncanny resemblance to humans. This is but their first surprise. Eighteen years after the landing, society goes through a major crisis as people have to make up their minds about how to live their lives according to their ethical and personal viewpoints. Man turns against man and the sense of justice and fairness is distorted beyond recognition. 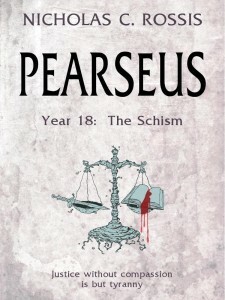 This short introduction to the Pearseus trilogy is filled with surprising twists: A leader that falls prey to unseen forces. An unlikely hero who faces death for his convictions. Mysterious voices driving the survivors to repeat the mistakes of their ancestors. But who are their ancestors? And how many voices are there? 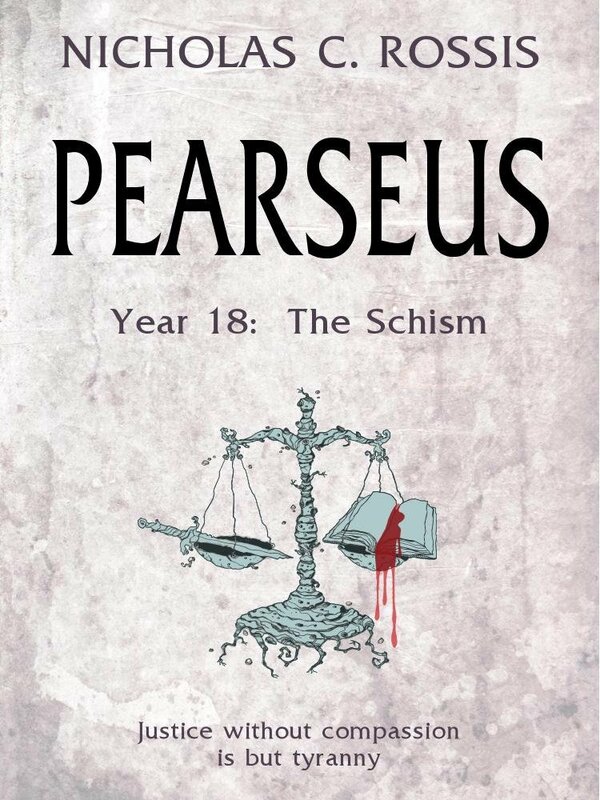 Pearseus is a Science Fiction adventure, which tries to answer the question: “What good is justice without compassion?” Mixing page-turning drama with psychology, religion, history and philosophy, Year 18 offers the rich back story to a great tale.